All in all October was a good sewing month. In other ways it has been hard but I've realised just how important sewing, quilting, crafting and designing have become to me. It is my time, my way of blocking everything else out. My way of creating, doing things I want and I'm in control of it. There are so many things I can't control but the fabric, needle and thread are in my hands. Too Far Quilt, custom cushions available in my Etsy shop, rose star block, High Voltage lampshade, Skull decoration, applique zip bag. 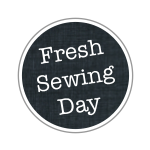 Hoping for a very creative November and to continue to find my sewing joy. There's still a couple of days left to enter my giveaway and win yourself some haberdashery from Minerva Crafts! Lovely makes, Lucy! Wishing you happy stitching in November! 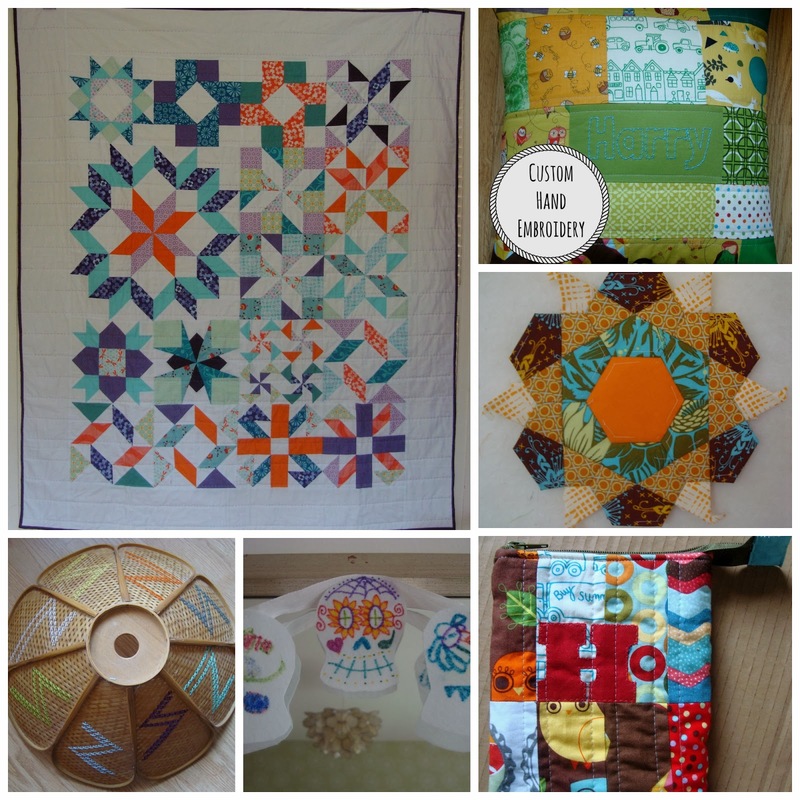 Totally agree with you Lucy - quilting along with a wonderful husband and beautiful kids has seen me through a horrible few months battling pnd! Great makes. I know that feeling, sewing is definitely my therapy. I agree. And here starts yet another great month in which to quilt. good to lose yourself in a mound of material. take care. Great job this month, I'm totally with you on sewing escapes, I just wish I could right now! When fabric, needle and thread are in your hands, amazing loveliness is created :) Hope whatever is so unpleasant outside your sewing space gets better soon. I've learned how important it is to continue creating during unpleasant times myself this month - it really does help to keep us balanced, doesn't it? I too use the sewing time to block out the rest of the stuff that I need a break from. Your sewing is beautiful. that is a good sewing month! hugs, lucy angel!!! hope the rest of your world brightens up, at least a bit. Well done and I hope you find time for more sewing as I love to see what you get up to! How many more Rosestars are you going to make - think I'm way behind you on about eighteen or something - maybe I should be making a big cushion? ?